One year after the devastating tornado in Joplin, Missouri, Oncology advisor Edwina Rains, MyMedLab and other health professionals are replacing their destroyed brick and mortar with new ways to access healthcare that can now be exported from Joplin to the rest of the world. As the city of Joplin, Missouri reflects on the one year anniversary of the powerful storm that cut a mile wide and twelve miles long path of destruction throughout the city, Joplin based MyMedLab has partnered with oncology advisor, Edwina Rains, to create CancerSteps. CancerSteps is a social health system that provides families with access to basic lab tests and personal health records to track their results over time. CancerSteps includes a comprehensive database of resources to help support the patient and family, and also provides assistance with insurance billing. From the web or any smartphone, CancerSteps includes a place to ask questions, share success stories, and to speak directly with Edwina and other health providers to help patients and families make more informed choices about their health care. 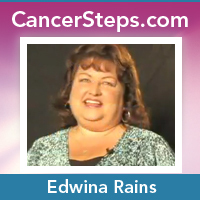 As part of MyMedLab’s next generation approach to health care, CancerSteps offers live frequently asked question (LiveFAQ) sessions with Edwina and other health care providers via CancerSteps.com so that anyone can participate in the collective knowledge sharing process and get the answers they need. To Learn more about CancerSteps, to ask a question, or to see if your question has already been answered, log on to Cancersteps.com. Digital health pioneer, MyMedLab is a leading provider of direct-to-consumer laboratory testing services. MyMedLab has developed a unique suite of software applications and professional networks that enable the ordering, processing, and reporting of test results directly to consumers. To order tests, receive test results privately online, and talk to an expert about your results, visit MyMedLab.com.